Slone Partners, Places New Chief Medical Officer, Garrett K. Lam M.D. FACOG, at Sera Prognostics, Inc.
Slone Partners, Where People Are Our Science™, Places New Chief Medical Officer, Garrett K. Lam M.D. FACOG, at Sera Prognostics, Inc.
17 JulSlone Partners, Where People Are Our Science™, Places New Chief Medical Officer, Garrett K. Lam M.D. FACOG, at Sera Prognostics, Inc.
JUNE 17, 2018- BOSTON – Slone Partners, North America’s leading executive search firm for life sciences, diagnostics and scientific healthcare companies, announces the placement of Dr. Garrett K. Lam at Sera Prognostics, Inc. as Chief Medical Officer. Effective September 8th, 2018, Dr. Lam M.D. FACOG, will be based at the Company’s headquarters in Salt Lake City, Utah overseeing clinical operations personnel and collaborating with research teams across the world. 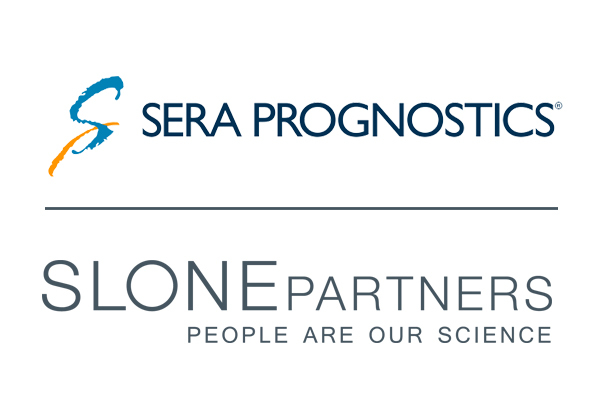 The placement of Dr. Lam, a maternal fetal medicine expert, finalizes Slone Partners’ national search process of identifying and securing next-generation strategic leadership at Sera Prognostics, the makers of PreTRM®, the first and only clinically-validated proteomic predictor of premature birth risk. Sera Prognostics is backed by highly respected healthcare investors Domain Associates, InterWest Partners, Catalyst Health Ventures, LabCorp, and the Bill & Melinda Gates Foundation. Sera is collaborating with the Gates Foundation to translate its discoveries into technologies well suited for low and middle-income countries. Known as The Pregnancy Company™, Sera develops innovative techniques and tools like PreTRM® to assess the risk of premature delivery, enabling earlier proactive interventions designed to create more informed clinical decisions, prolong gestation and improve neonatal health outcomes. Prior to becoming professor and Chairman of the Department of Obstetrics & Gynecology at the University of Tennessee College of Medicine-Chattanooga, Dr. Lam received his medical degree from the University of Rochester and completed his obstetrics and gynecology residency at Good Samaritan Regional Medical Center in Phoenix. He received his fellowship training in maternal fetal medicine at the University of North Carolina, Chapel Hill. Dr. Lam has authored multiple book chapters and contributed to numerous peer reviewed articles in leading journals based on investigations of various clinical subjects such as preeclampsia, preterm labor, postpartum hemorrhage, fetal anomalies, and genomic medicine. Slone Partners delivers the leaders who build amazing healthcare organizations – People Are Our Science®. Since 2000, Slone Partners specializes in delivering world-class C-suite leadership, executive, and upper management talent to the most promising and established life sciences, diagnostics, precision medicine, CRO’s, and laboratory services companies. With coast-to-coast presence in the most active healthcare industry hubs of Boston, San Francisco, Los Angeles, San Diego, Austin, Research Triangle Park NC, and Washington DC, Slone Partners uniquely and precisely provides an array of executive search and advisory services to innovative healthcare companies. To learn more about Slone Partners’ value proposition and processes, visit www.slonepartners.com or call 888.784.3422. Sera Prognostics is a global leader in high value women’s health diagnostics, delivering pivotal information to physicians to improve health and improve the economics of healthcare delivery for pregnant women. Sera is developing innovative diagnostic tests focused on the early prediction of preterm birth (PTB) risk and other complications of pregnancy. Sera’s PreTRM® test is available nationwide through the Company’s collaboration with LabCorp. PreTRM is the first and only broadly clinically-validated blood test that is used early in pregnancy to accurately predict the risk of premature birth. The test objectively reports to the physician the risk of premature delivery, enabling earlier proactive interventions designed to prolong gestation and improve neonatal health outcomes. Sera’s strong management team has significant clinical development and women’s healthcare diagnostic experience. Sera is backed by highly respected healthcare investors, including Domain Associates, InterWest Partners, Catalyst Health Ventures, the Bill & Melinda Gates Foundation, and LabCorp. Sera is collaborating with the Gates Foundation to translate its discoveries into technologies well suited for low and middle-income countries in its journey to improve maternal and infant health globally. Two prospective intervention studies are underway to demonstrate the impact of proactive interventions to reduce the rate of preterm birth when women are identified at high risk of prematurity with the PreTRM test. Sera Prognostics is located in Salt Lake City, Utah. For more information, please visit the company’s website at www.seraprognostics.com.